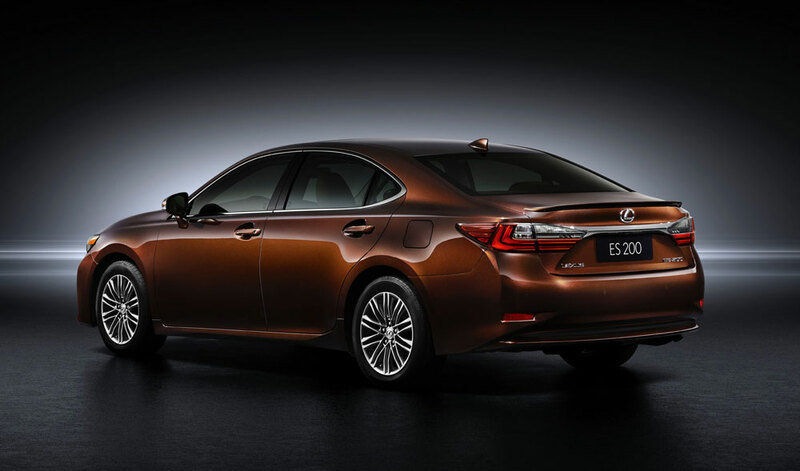 The 2016 Lexus ES debuted at Auto Shanghai just moments ago, here’s the full press release along with the first photos of updated model. As the best-selling sedan model in Lexus’ impressive stable, the ES has come to define the very essence of near luxury sedan. 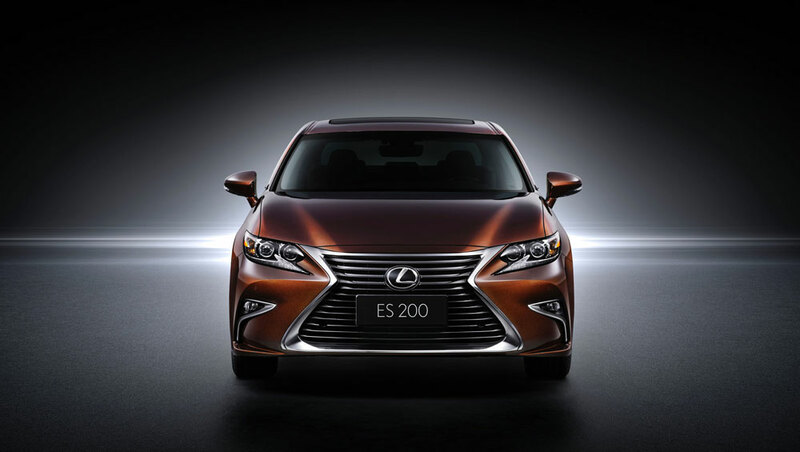 It’s evident that this trend will continue as Lexus unveiled the exciting new 2016 ES at the Shanghai International Motor Show today, alongside the RX 200t luxury utility vehicle which is also making its world premiere. 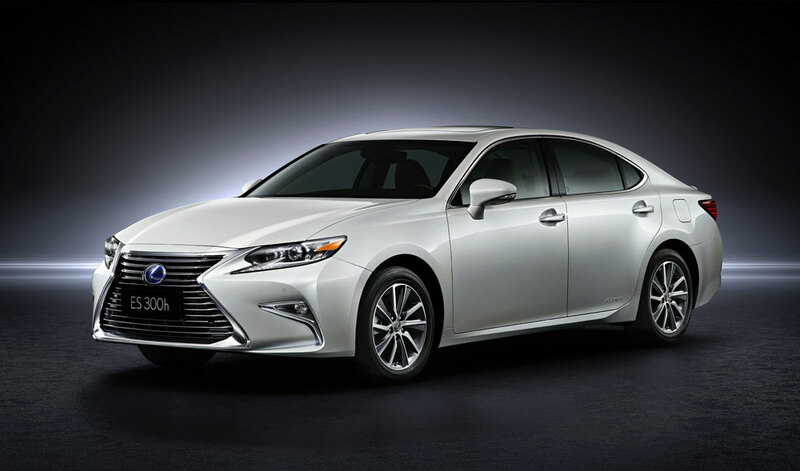 The 2016 ES features an exciting, sportier attitude, highlighted by elegant yet progressive exterior styling, an enhanced luxurious interior and the new safety system, Lexus Safety System+. There’s a new 2.0L, direct-injection powerplant that will broaden the new ES’s global appeal (not available in U.S. market), while enhanced dynamics and upgraded technology packages will keep it on the forefront, giving both drivers and passengers the confidence to traverse any distance in safety and utmost comfort. 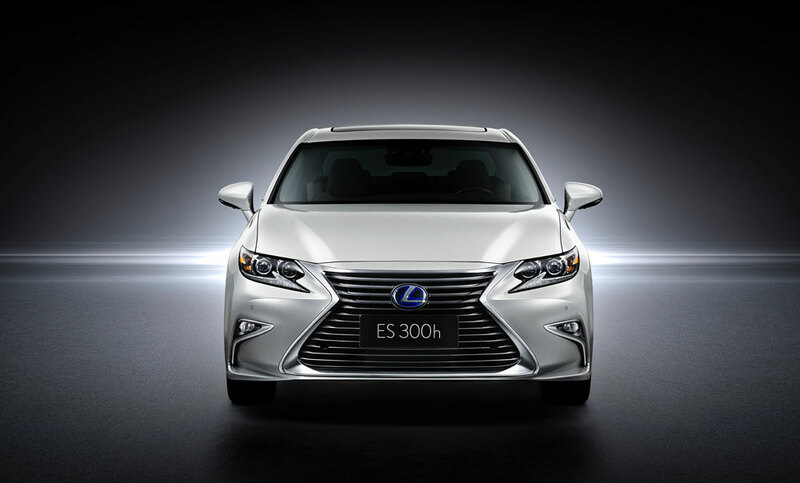 For 2016, Lexus designers have cast a daring new form with the refreshed ES. A commanding front fascia that features Lexus’s trademark spindle grille, framed in combination with accentuated brilliant satin chrome, gives this new ES a new sense of luxury and instantly distinguishes it from the crowd. Accompanying the grille is a pair of newly designed headlights, now equipped with LED projector technology, while iconic “L”-shaped arrowhead Daytime Running Lights (DRL) extend outside the headlight element for a distinctive look that links it with other Lexus models. Also, redesigned fog lamps areas have been relocated to the outer lower corners of the front fascia and amplify the vehicle’s wide stance. A re-sculpted front fascia connects to the hood adding the sensation of motion even when the car is standing still. The sleek shape continues with the ES’ graceful roofline that flows effortlessly to the rear, where an improved, modern taillight design evokes the “L”-shaped theme furnishing an instantly recognizable nighttime glow. Spanning the rear is a re-stylized chrome license plate garnish that flows visually into the clear elements of the lamps to communicate the vehicle’s on-road stability. Adding a considerable amount of flair to the vehicle’s already sporty attitude are newly sculpted chrome-tipped rectangular exhaust ports. To complement the impactful new form, two 17-inch wheels with directional spoke patterns have been developed. A branching dark gray metallic, multi-plane machined 20-spoke wheel is optional for non-hybrids, while hybrids are distinguished with a 10-spoke design with machine finish over medium gray. Four new exterior colors join the ES palette: Amber, Nightfall Mica, Caviar, and Eminent White Pearl. Like the six existing choices, each features Lexus’ innovative cutting-edge paint technology designed to allow the paint’s clear coat to heal itself even from light damage. Each of the 10 colors were carefully selected to reflect the ES’ dynamic surface and is brought to life by the renowned, multi-stage paint process that gives Lexus models their deep, jewel-like luster. The 2016 model takes luxury to the extreme with a collection of new interior color combinations, including exquisite multi-color themes that exemplify elegance. The seats are now offered in four different colors: Flaxen, Parchment, Stratus Gray and Black. 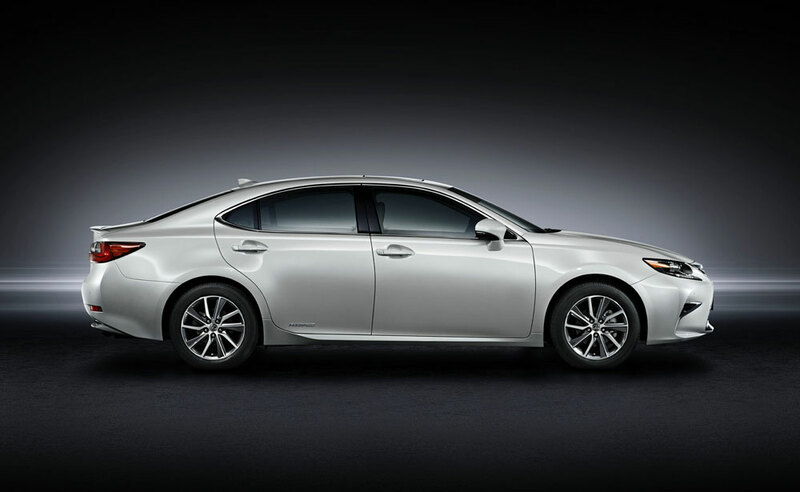 Customers can choose from the three trim materials: semi-aniline leather, leather and Lexus NuLuxe. In addition, four styles of interior trim have been carefully selected to harmonize with the color choice: Illustrious Piano Black, Linear Dark Mocha Wood, Espresso Bird’s Eye Maple with Shimamoku ornamentation, and new for 2016, Bamboo now has matte finish. First appearing in the GS and LS sedans, Shimamoku is a high-end finish of luxurious wood created through a multi-step manufacturing process by highly skilled craftsmen. Furthermore, an embossed pattern has been added to the comfortable-yet-supportive seats. Additional trim enhancements to cabin-facing door surfaces and the center console unite the interior in upscale feel and design cohesion. Color-matched upholstery appears along the center console as well, coupled with a new leather boot-enclosed gear selector. A new, sporty steering wheel provides better driving engagement. A larger 4.2-inchThin Film Transistor (TFT) color multi-information display conveniently places vital vehicle and route information as well as multimedia information front and center. To further enhance Remote Touch Interface (RTI) control, the 2016 ES adds “Enter” buttons on either side of the interface controller. For the new 2016 ES, Lexus engineers applied structural reinforcements to foster stiffness in the vehicle’s unibody construction. 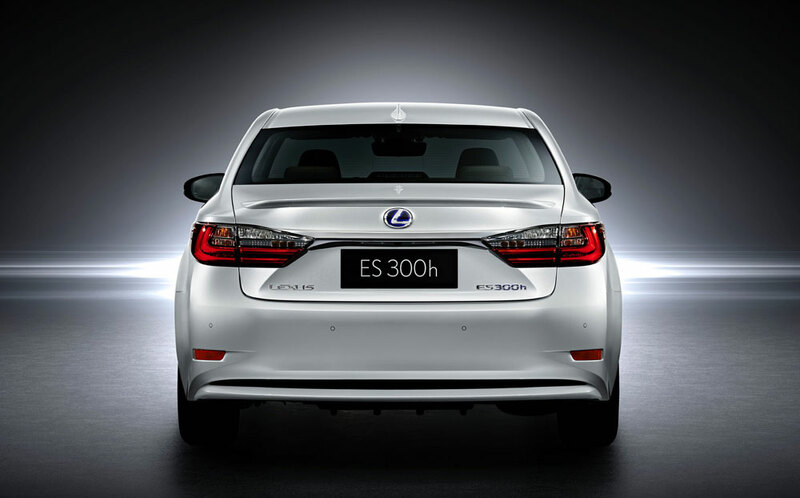 Adapted from the Lexus IS sports sedan, this form of chassis tuning arms the ES with enhanced ride quality and handling. Moreover, this ES adds a sound-reducing layer behind the dashboard to better isolate engine noise from the cabin. New for 2016 in specific markets is a 2.0-liter direct-injection four-cylinder engine. Engineered to meet China’s fuel economy regulations, the D4 engine will be offered in China, Russia and Taiwan. In the U.S., the luxury sedan will continue with its exceptionally smooth 3.5-liter V-6 engine and a gasoline-electric hybrid powerplant, while other markets also have a 2.5-liter L4 version. The ES now offers a range of powertrain options prioritized for fuel efficiency and power delivery, with enhanced sensitivity to the environment. Bruce@Lexus: Looks like Canada will get the V6, Hybrid, and a new 2.5 4 Cylinder option for the 2016 ES. Tinhinnh: I guess the turbo would be too similar in power and price to the v6.